After a terrible tour of the terracotta warriors and generally not enjoying xi’an I was happy to arrive in Chengdu, well after the hour walking around it took to find where I was staying I was happy to arrive in Chengdu. The region surrounding Chengdu is home to the largest panda population in the world and Chengdu is the main destination in China for panda tours. Chengdu is a really great city, it’s ranked as one of the most liveable cities in China and it’s easy to see why, it’s modern and has everything you need in a big city but is very clean with lots of parks and open spaces. I was staying in a really great hostel the traffic inn hostel that I highly recommend and was able to book tours through them. After Xi’an I made sure every tour I book would be without shopping. The tour left early in the morning and we were taken to the Chengdu panda base to spend half a day there. There are pandas of all ages from babies to adolescents to adults all in different sections and you get to see them up close. You can even pay to hold a young panda in a safe environment for the panda. The panda base is not like a zoo, like in other parts of the world, the pandas are in large open areas with lots of space and plenty of bamboo. Photos of pandas will be much more interesting than me writing about it and will give a much better impression of what it was like so below are images from the panda base. 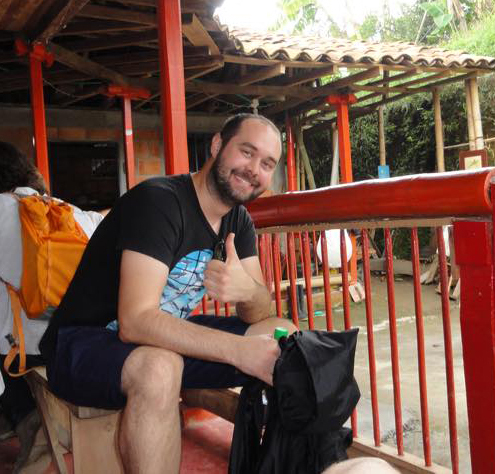 Hi, I'm Rob Wise, and this site is about my journey to become a digital nomad. I am currently living in Thailand working towards making a living remotely through websites, freelance work, social media, trading and other methods.